Our vision here at BUR-HAN Pavers is to help you create your dream outdoor living space with the use of premium products and certified installers in order to increase the value of your home. 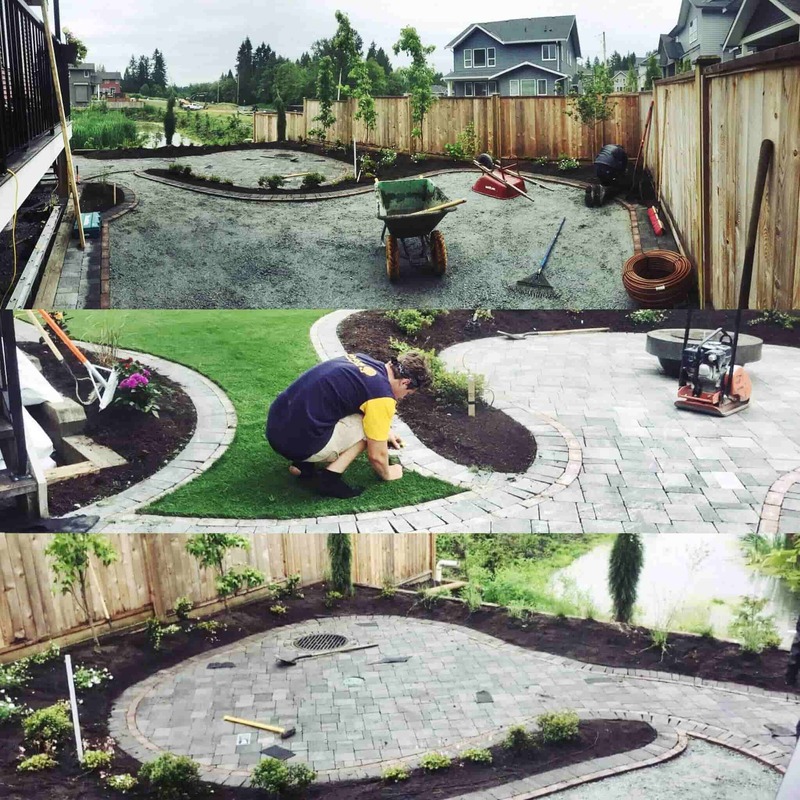 Whether it be a new patio, paving stone repair, walkway paving stone installation or driveway – our team at BUR-HAN Garden & Lawn Care is here to help! With over 20 years experience, call our office today to obtain a free estimate and help bring your vision to life! 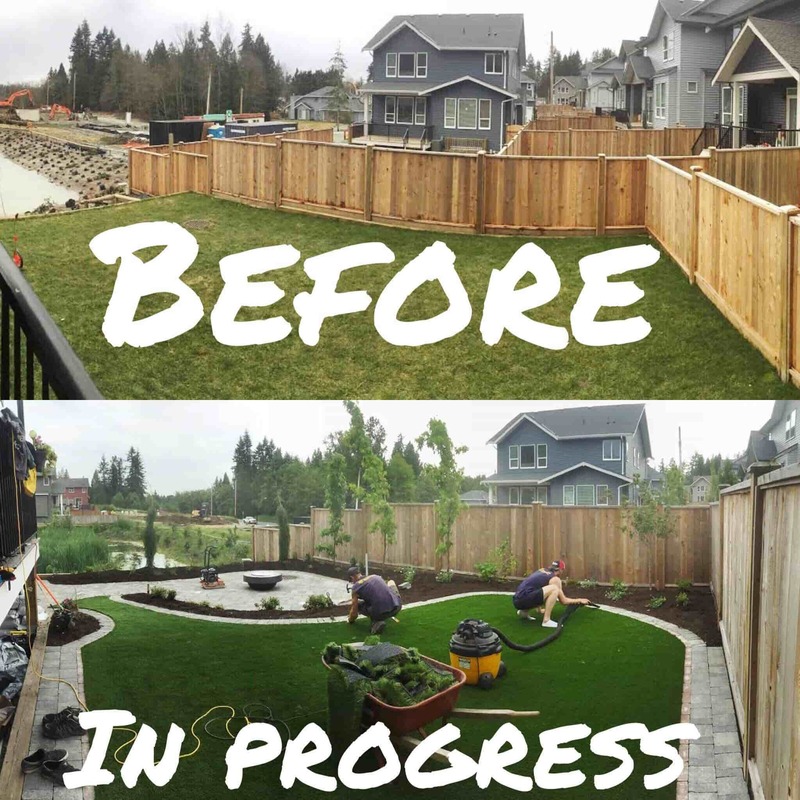 While we do not currently provide landscape designs, if you are in need of some professional help from a landscape designer in the greater Vancouver area, contact Vera Bedard (604)-318-0221. 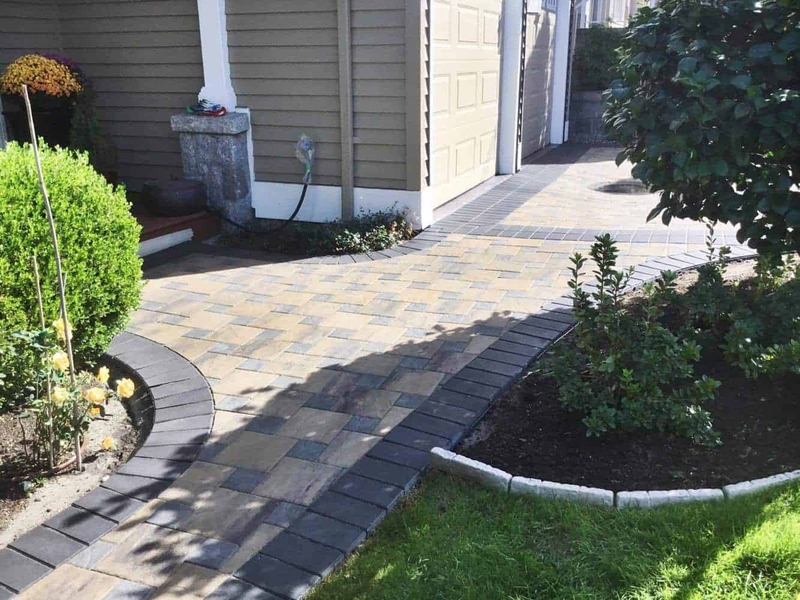 At BUR-HAN Pavers, we employ friendly, dependable, certified installers whose main goal is to ensure your project is completed properly and in a timely manner. We are proud to install to ICPI standards and use premium products to ensure your finished paver installation is exactly how you dreamed it would be! ICPI (International Concrete Paver Institue), is an internationally recognized body that governs the industry with best practices for installation. Their specifications provide minimum requirements for base material and depth (taking into account the designated use of the area), the thickness of sand, space between the pavers and surface grade deviations that all ensure a long lasting product that will not settle, rut or have pooling water. By adhering to their standard, your pavers will last a lifetime. 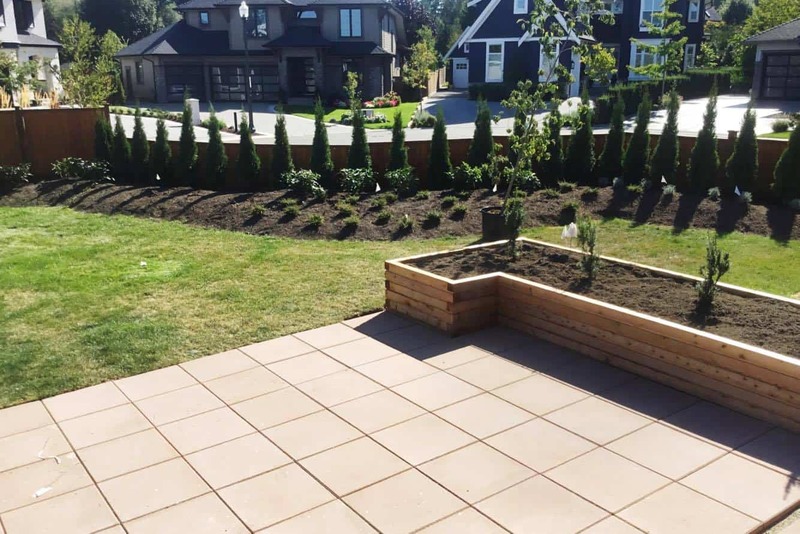 Beyond adhering to ICPI standards, our attention to detail on the finishing elements of your paver project is what people will notice as being above and beyond a typical installation by our competition. Although we may strive to give you nothing but the best, we can also help you with repairs to fix other peoples mistakes. There are many common issues that arise on many paver projects just after very few years that have not been installed to standard. Settling – usually caused by an insufficient base and/or base failure. Even when meeting the minimum recommended base depth, site conditions can warrant further precautions including additional base depth and/or the use of geotextiles to prevent the base gravel material from settling into soft subsoils and/or re-enforce the base itself. Geotextiles are also effective to prevent settling where natural stone pavers but up against concrete structures such as garage pads, foundation walls, catch basins or curbs. This type of settling is usually most prevalent in the concrete coping of a pool. Rutting – usually caused by an excessively thick layer of sand over the base material (occasionally completely devoid of the base material). Sand is only stable at a depth of up to one-inch sand that exceeds this thickness can be susceptible to displacement resulting in ruts, depressions, ridges and/or heaving. Correcting the sand depth in the affected areas is sometimes all that is required. 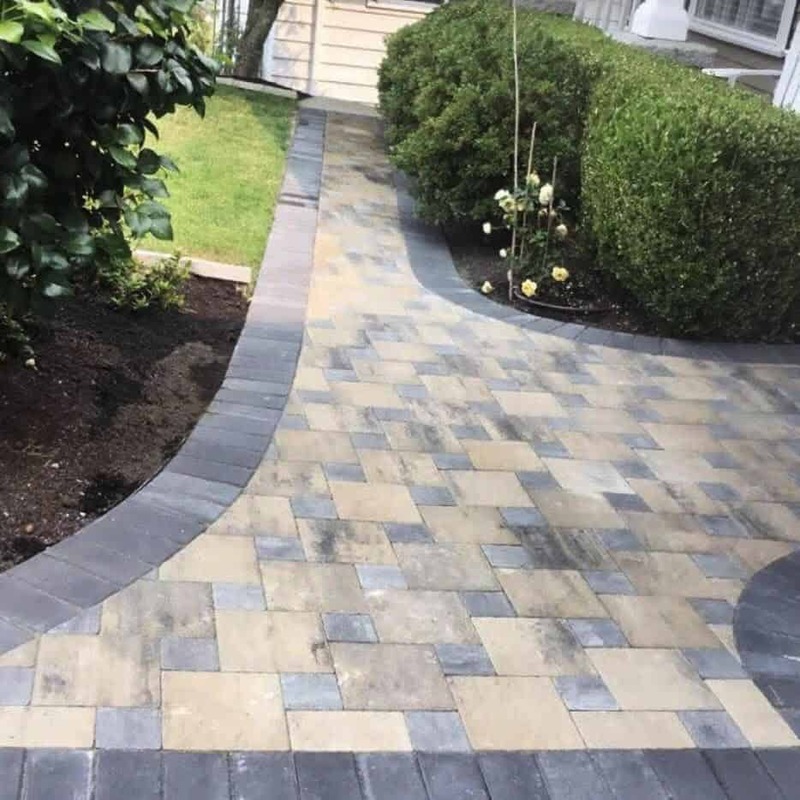 This is achieved by lifting the natural stone pavers, removal of the sand layer and installation of more base material to allowable tolerances, reinstallation of the sand layer and paving stone. Weeds – usually result from jointing sand that is either deficient and/or contaminated with organic matter. Most often occurs when the jointing sand has been washed out by either excess surface water runoff (where concrete pavers are installed on a slope greater than 2% and particularly when there is a paver pattern that has continuous joint lines) or more often due to heavy or frequent pressure washing. 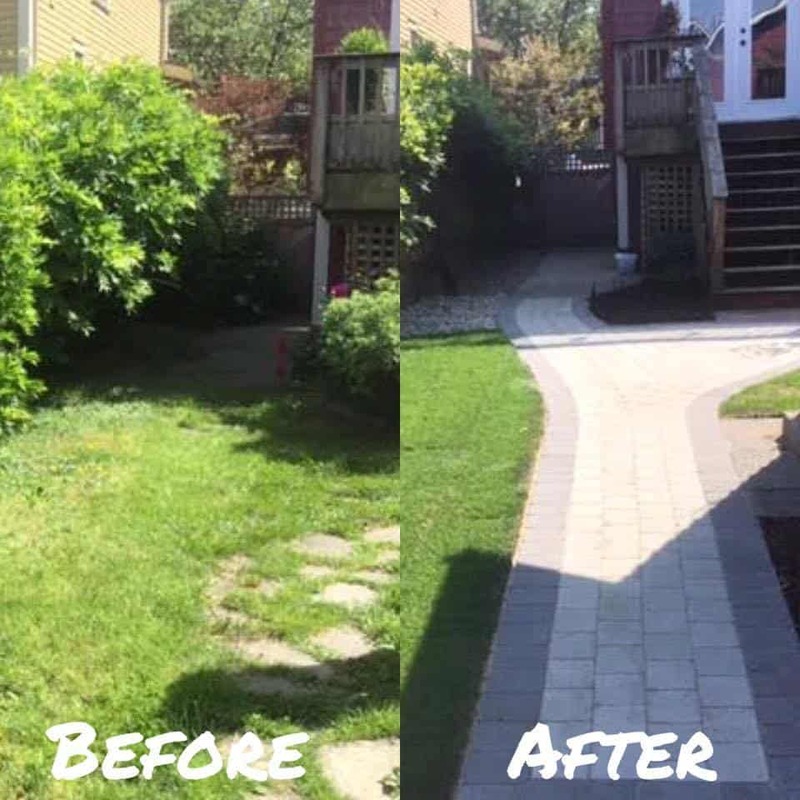 The use or installation of polymeric sand to replace the contaminated jointing sand will not only prevent weeds from returning but because it sets up like mortar while remaining flexible to prevent chipping and cracking, it will not be washed out by surface water or even reasonable pressure washing. Edge restraint failure – usually associated with the edge pavers separating and/or settling. This can be corrected by lifting the affected paving stones, making any necessary corrections to the base and sand layers, reinstallation of the patio pavers and installation of an ICPI approved edge restraint. Staining, discoloring, and fading – there are many products available for use in the Restoration of brick pavers. At Bur-Han we use the Technical product line (we are Techniseal certified applicators) which includes an array of cleaners for every application as well as a selection of sealants including color boost. When professionally cleaned and applied these sealers will extend the life of your pavers, prevent stains and enhance the appearance of your brick pavers while making them far easier to clean and maintain. A properly installed driveway, walkway or patio can greatly increase property value by enhancing or extending your living space and has a lower lifecycle cost than asphalt and concrete. 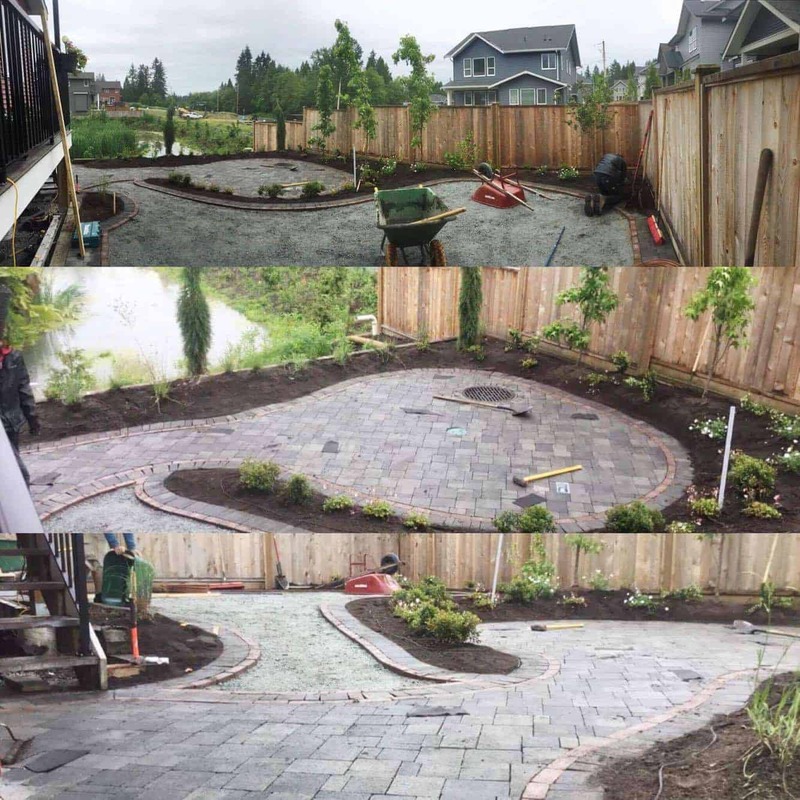 It can be daunting at first to consider redoing your driveway or adding in a hardscaped path or new landscape but with the right materials, paving stones, direction and help it will be well worth the investment. Projects wait times can vary depending on availability and season. Call us today for an update on wait times and a free quote.